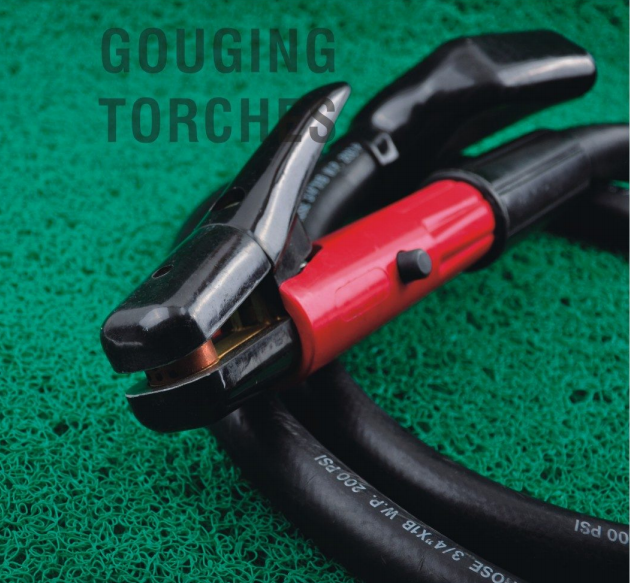 Product categories of Gouging Torch, we are specialized manufacturers from China, Gouging Torch, Arc Gouging Torch suppliers/factory, wholesale high-quality products of Gouging Cutting Torch R & D and manufacturing, we have the perfect after-sales service and technical support. Look forward to your cooperation! Gouging Torch is a torch with carbon arc gouging function. Carbon arc gouging refers to the method of processing a groove on a metal surface by using the arc generated between the graphite or Carbon Electrode and workpiece to melt metal, then use compressed air to blow it off. In welding, Arc Gouging Torch is mainly used for slotting, eliminating weld defects and cleaning the back. Due to carbon arc gouging is using the high temperature instead of using the metal oxidation, which means that gouging torch is not only suitable for black metal, but also applicable to non-ferrous metal stainless steel, aluminum and copper and its alloys.